I just received these nail kits in the mail from Korea! It’s The Face Shop’s Face it Check Check Nail Kit. 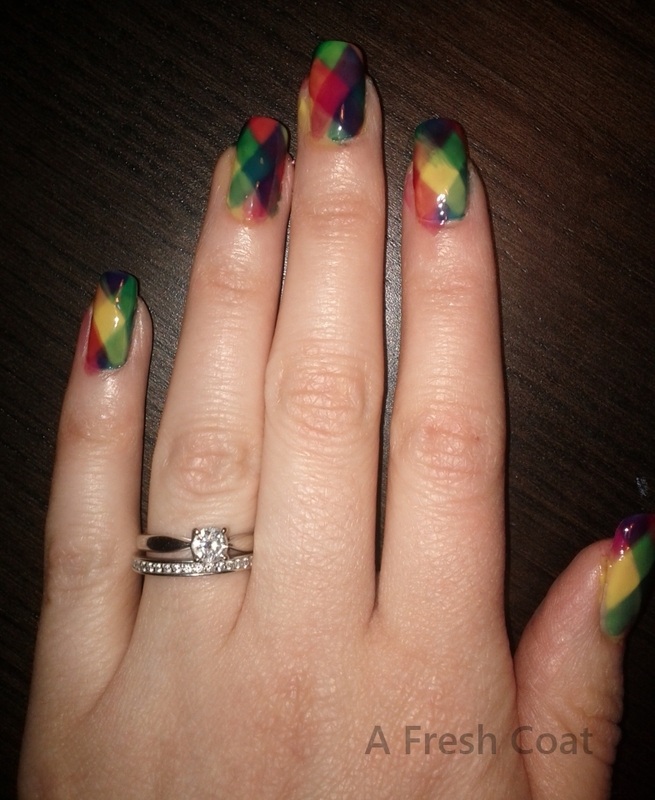 With just three colors you can achieve these beautiful rainbow check pattern nails. There are two different kits – one in the bright primary colors and the other in pastels. I tried out the brights first. I am going to try out the pastels in the future and post up the pictures. The pastels are nice for Easter / Spring. 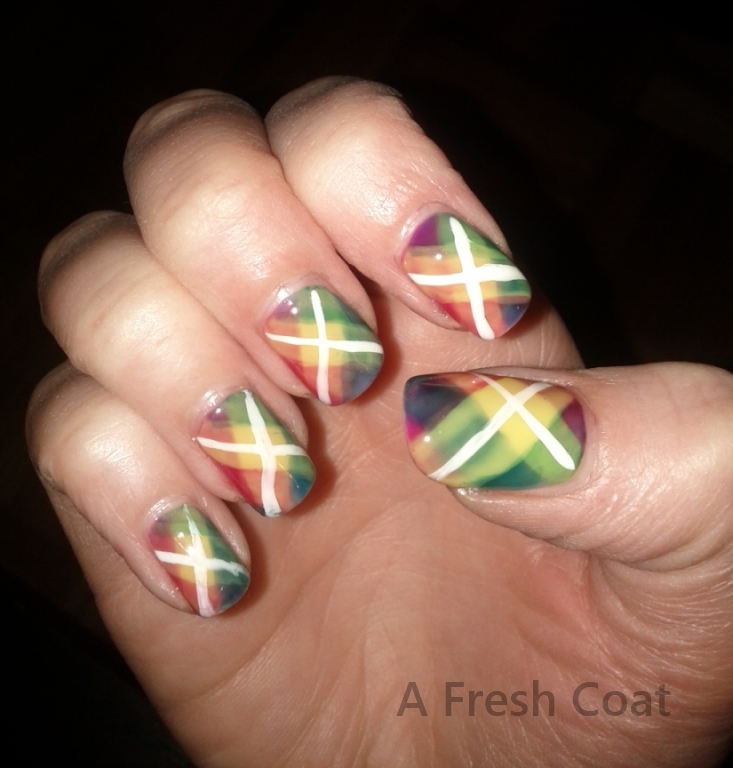 The polish was nice to work with and it was much easier to do the pattern than I had expected. On my left hand, I decided to slightly change up the directions on the box (above) as I thought it would be neat to rotate the colors on my fingers. Below is the process of applying the polish. 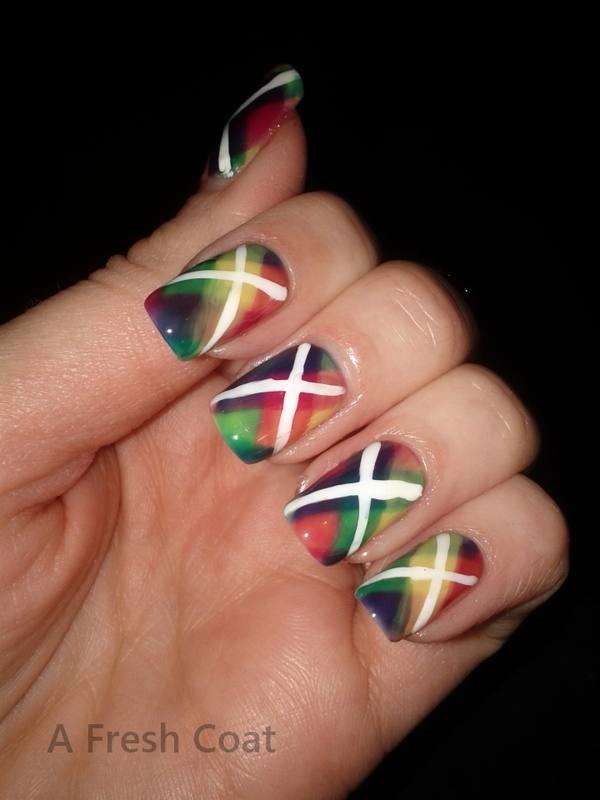 Keep in mind the process pics are messy around the nails since I was taking pictures as I applied the polish. 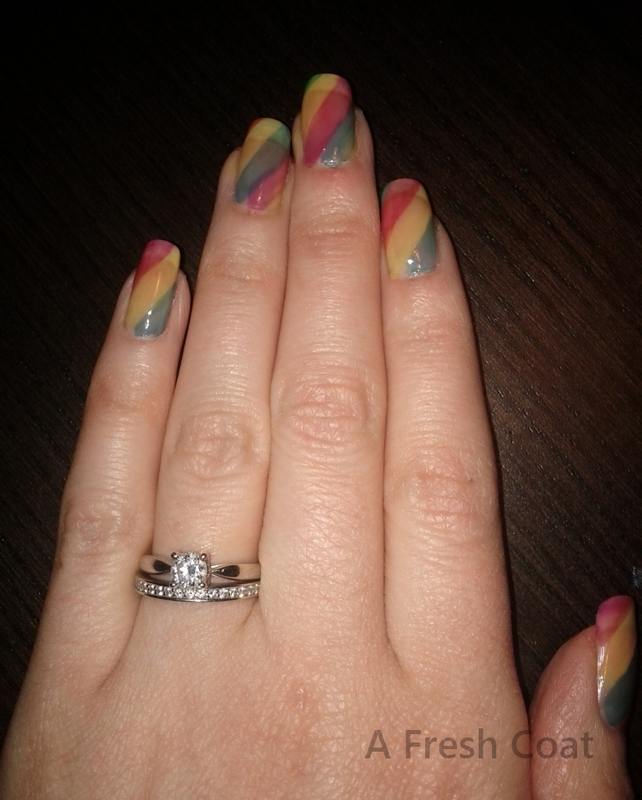 I ended up doing two coats of the first layer of stripes because the polish was so sheer. I only used one coat for the reverse / crossing lines as I didn’t want to over power and cover the colors that blended together. This is amazing! 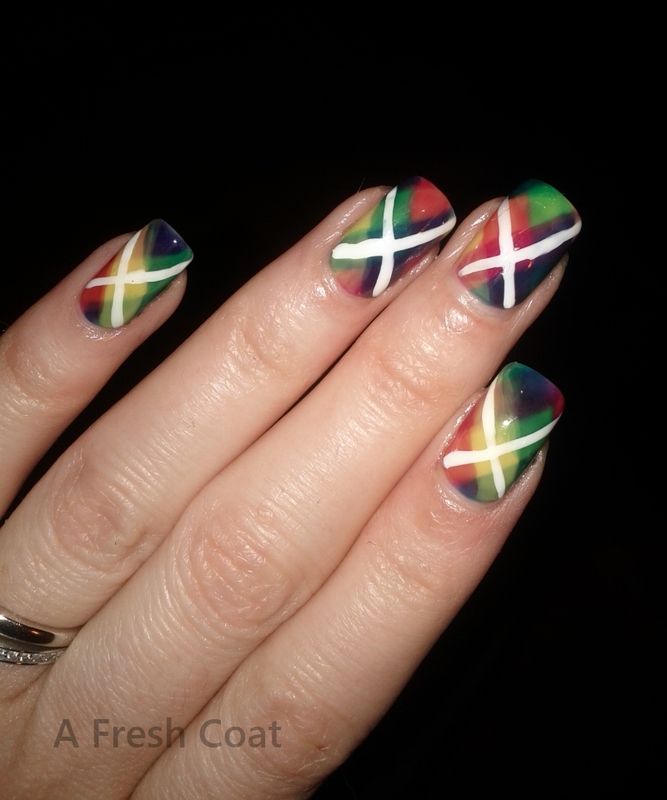 I added in the thin white cross lines as suggested (I think!) on the box. 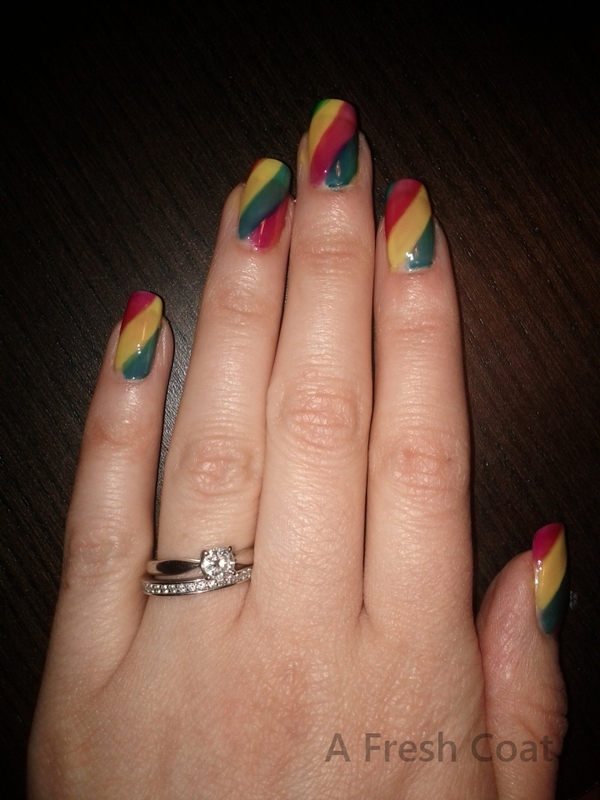 On my right hand I followed the box directions, keeping the yellow as the middle color. I think I actually like it better this way! Next time I use this kit, I am going to apply a coat of white polish before applying the colors. 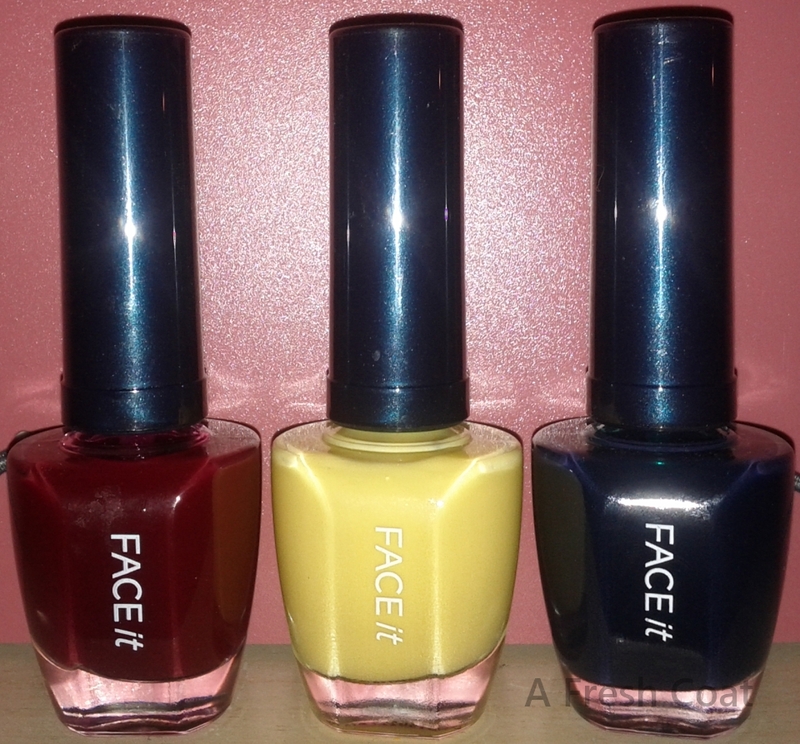 Since the polish is so sheer, it will help make the polish more vivid. Overall, this was a fun and easy-to-use kit. I will defiantly be using it again. Now I’m looking forward to trying out the pastel kit!